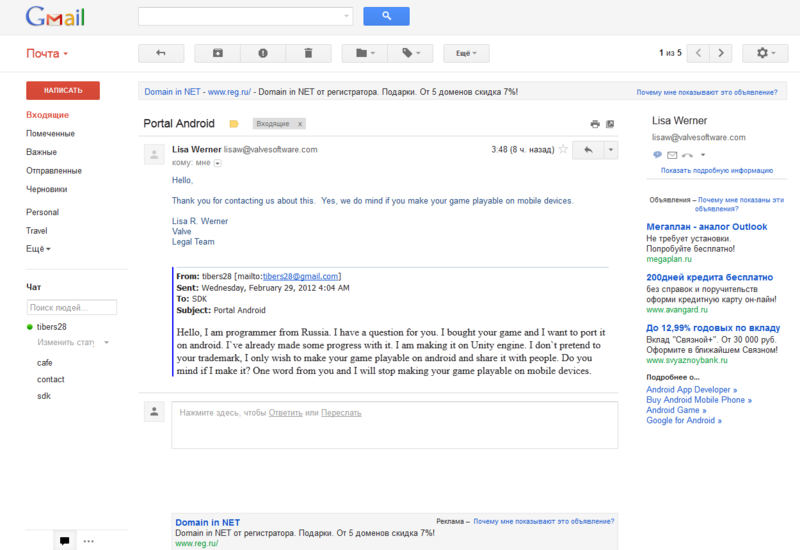 After a bunch of clever Russian programmers started creating their own Portal for Android last month using the Unity 3D engine and Valve's assets, the news got picked up and spread through the Internet like wildfire. It all seemed too good to be true, but the initial demo was playable, and as I was monitoring the development thread, I saw how quickly progress was being made. The developers were literally recreating the Portal world at a phenomenal pace, and things were looking up. 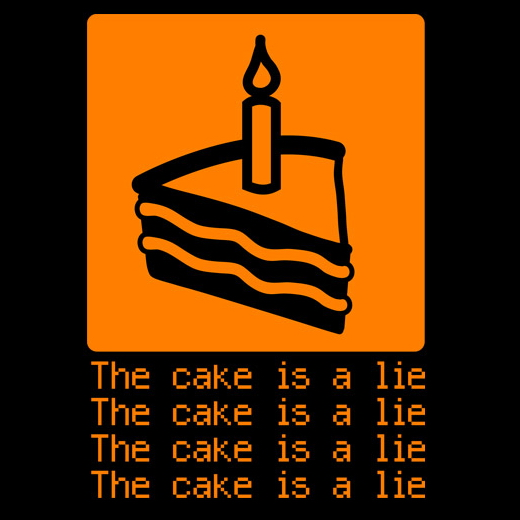 The cake turned out to be a lie after all, once Valve got wind of the project. In fact, the main developer, tibers28, tried to contact the company himself to get its blessing almost from the get-go and continued to develop while waiting for a reply. When it finally arrived, a few levels have already been pretty much completed, and work was being done on the portal gun itself - a highly complex concept that requires deep knowledge of math. Thank you for contacting us about this. Yes, we do mind if you make your game playable on mobile devices. Kaput. Finished. The development thread is now closed, and the devs moved on to other fun things. I completely understand Valve's decision, and the idea of a Portal clone on Android was fun while it lasted, but for now we'll have to either wait for the real thing or flying pigs, whichever comes first. Bummer.